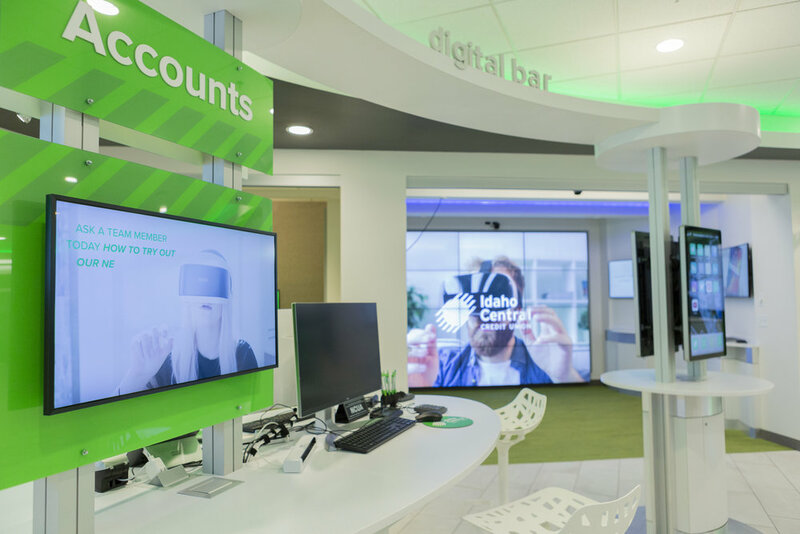 Idaho Central Credit Union in Rexburg, Idaho came to Element with a desire to modernize their community-centric credit union where the demographic skewed towards a collegiate base of members. 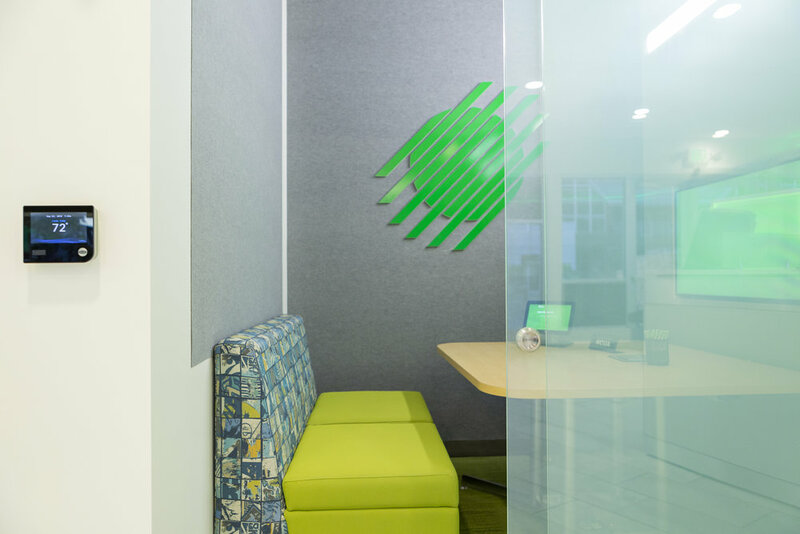 Element’s signature design included lots of technology from touchscreens, to video walls, a virtual reality experience, and a 3D printer suited to serve as a community resource. This branch was built on the fundamentals of dynamic technology engagement. 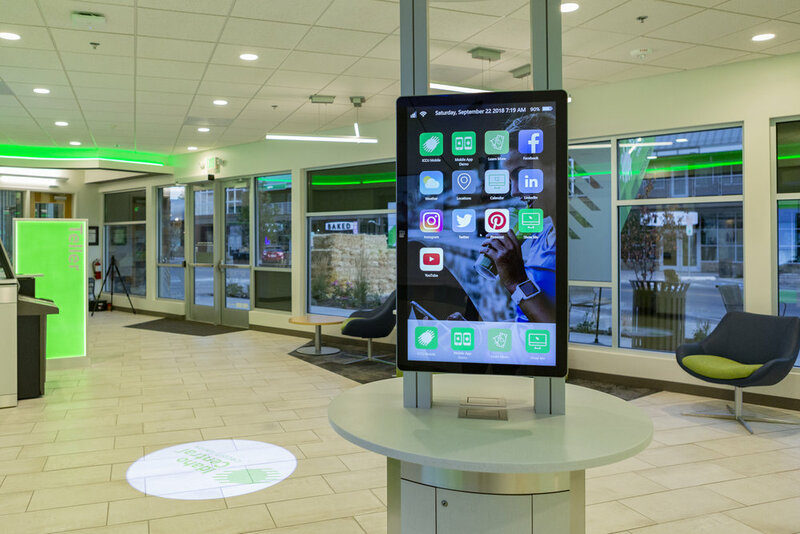 This design exceeded the goal of serving the modern needs of a young demographic with a deep dive into cutting-edge credit union technology. Modern and clean lines along with ease of access to technology was the priority in this design build project. The location was a standard box unit of space in a retail plaza. Choreography was important to allow for flow throughout the footprint. 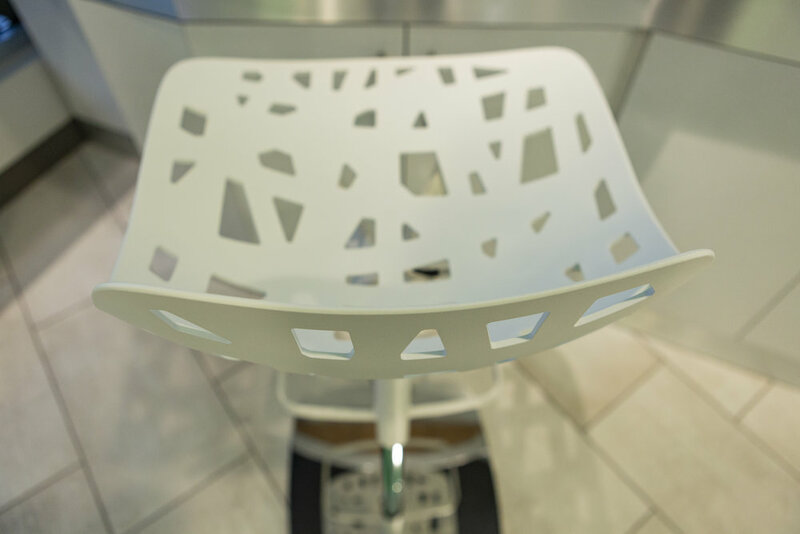 The aesthetic appeal and functionality of this branch has overall tones of white and the brand identity. Lots of glass allows for ease of visibility from curbside to interior. The design fosters engagement with technology at every angle of access to the ITMs, digital displays, a 3D printer, and virtual reality. This space required a buildout, fixtures, furnishings, graphics, digital elements, ITMs, and ATM install, and virtual reality. Digital content programming was also done by Element. The client’s team visited with the Element team at the Portsmouth NH HQ to collaborate on the concept and build the initial partnership for a true team approach from start to finish. “I LOVE our new branch! It’s awesome and an experience like no other!